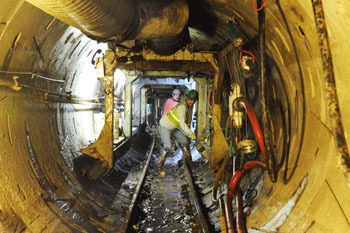 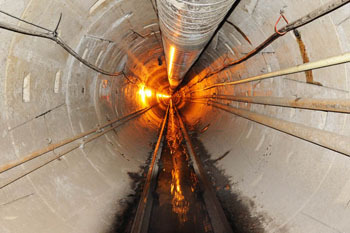 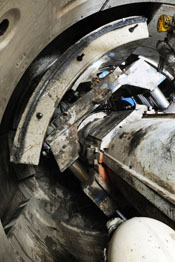 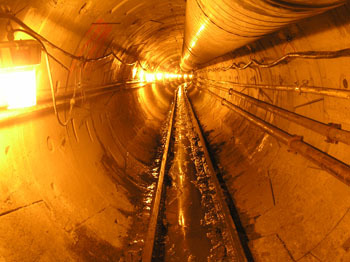 Tunneling is a method where the erection of a ground support system is constructed near the point of excavation. 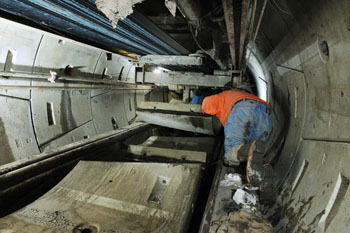 A shield or TBM is used to support the ground during excavation and provide a place to erect the tunnel support. 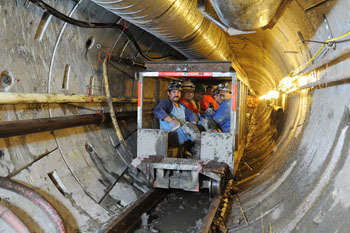 The tunnel diameter must be large enough for man entry and erection of a ground support system behind the shield.